The winners of Cool Milk’s World School Milk Day 2018 ‘snap happy’ competition have revealed that they will be investing their hard-earned prize money in new photography equipment for the children. 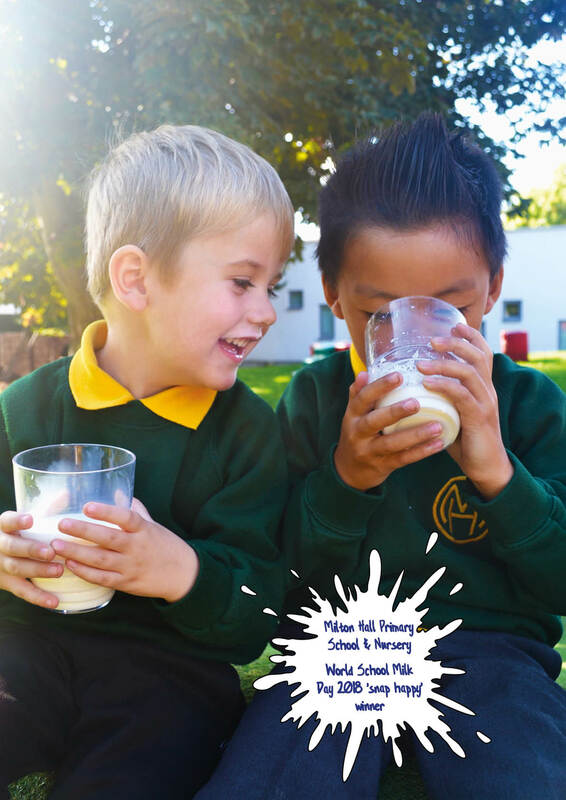 Milton Hall Primary School and Nursery won the sought-after title last month after their emotive image of children enjoying their daily milk entitlement was chosen from hundreds of entries sent in by schools and nurseries across the UK. They won a £250 Amazon voucher to help boost their budget and a bespoke canvas of the winning entry to proudly display in the school. Here you can see the children featured on the winner entry receiving the school’s personalised canvas. 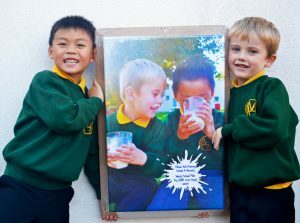 “We thought the competition was a great opportunity to show how much the children enjoy their milk,” said Janine Coleman, Media Assistant at Milton Hall. The children have an avid interest in photography and even have their own Youtube Channel, on which they host a variety of creative videos, including children reading news updates about their studies, recent projects, and upcoming initiatives. In fact, from 11 am today (Friday 23rd November) to 11 am tomorrow, the school is hosting a 24-hour TV show that will be produced entirely by the children. Be sure to tune in!